The 2016 Ghostbusters reboot may not have been the jumpstart to the franchise that Sony hoped it wold be, but fans may only have to wait until 2019 for another Ghostbusters feature. 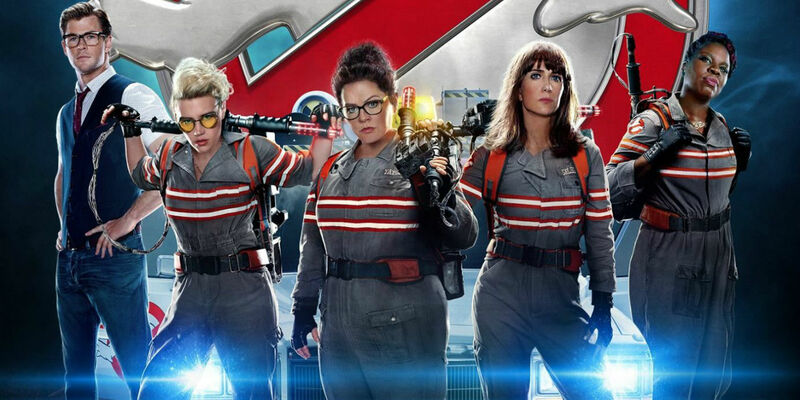 That's according to Ivan Reitman, director of the original two movies and producer of the recent all-female reboot, who clarifies that the future of the series is still moving forward at a healthy pace. He may have raised some eyebrows when he promised a 'Ghostbusters shared universe' of films despite the disappointing box office of the reboot, but his claim that a new movie is expected to release around Summer 2019 seems far more resolved. Reitman offered the confirmation to fans attending San Diego Comic-Con during a panel focused on all things Ghostbusters (ranging from the films to comics and even Ninja Turtles crossovers). Reiterating the fact that he was overseeing development of both live-action and animated Ghostbusters movies, Reitman told those in attendance when they could expect to see one hit theaters - and why the date would have some significance. "Well, the studio is working on some really nice things. First of all, I can't believe the movie is still playing and being watched so assiduously... and I can't believe I'm so old. Yeah, I think there's going to be a lot of fun, a lot of special things. We're going to try to tie one of our films close to that date." For those who believe, like Reitman, that the Ghostbusters franchise is too strong a premise to be sidelined by a single perceived misfire, that claim seems like the producer backing up his claims that "many" more Ghostbuster movies were being developed. Yet for those who felt it a bit more likely that the 2016 reboot halted plans for a new series, and turned attention to an animated Ghostbusters instead, the release date Reitman is "trying" to make may be more optimism for the fans' sake. It's worth pointing out that while Reitman had only kind words for the cast and creators of the 2016 reboot - unlike Dan Aykroyd's criticism of Ghostbusters and its director - he stopped short of confirming whether the planned 2019 movie would be the animated feature, or live-action. And if live-action, whether it would continue with the cast of Melissa McCarthy, Kristen Wiig, Kate McKinnon and Leslie Jones... or start fresh (again). Whatever the case, we won't have to wait much longer to find out. Assuming the film is being planned for release in the Summer of 2019, then word of a writer, director, and cast to follow should be coming soon. Let us know your hopes for a creative team, returning or new faces, and whether it may be best to avoid the mistakes of the previous reboot!